On your all-inclusive cruise, your intimate 'floating hotel' glides gently along while you relax and enjoy gourmet cuisine, fine wines and the company of fellow passengers. Our fully crewed, all inclusive luxury hotel barges cruise the inland waterways of nine European countries, along canals, rivers, lakes, lagoons and lochs, giving you the opportunity to experience life there from a truly unique perspective. 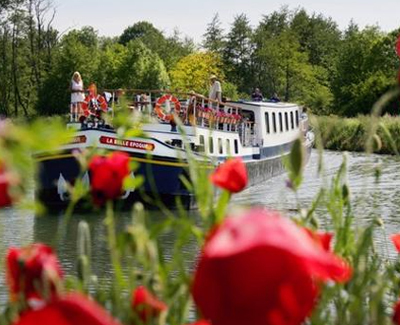 Our hotel barges are ideal for people looking for either an individual cruise with other like-minded people, or for those choosing a whole barge charter for a family or group of friends. On your all-inclusive cruise, your intimate 'floating hotel' glides gently along while you relax and enjoy gourmet cuisine, fine wines and the company of fellow passengers. There will be guided tours to castles, chateaux, vineyards, markets and when you return to the barge, you can be sure our dedicated, professional crew will be there to look after you once more.